Queensland - the Sunshine State - enjoys warm weather and a sizable portion of the state is in the tropics. Queensland is a state of many contrasts that range from sunny coastal areas, lush tropical rainforests to dry inland areas. The main tourist destinations of Queensland include: Brisbane, Gold Coast, Sunshine Coast, Hervey Bay / Fraser Island, Whitsundays (Airlie Beach, Hamilton Island, Daydream Island), Far North Queensland (Cairns, Port Douglas, The Daintree), North Queensland (Townsville, Magnetic Island), North Stradbroke Island, South Stradbroke Island and the Great Barrier Reef. Most of the population is in the south-east corner, which includes the capital Brisbane, Logan City, Ipswich, Toowoomba, and the Gold Coast and Sunshine Coast. New South Wales is Australia's most populous state, located between Queensland and Victoria. The capital of New South Wales is Sydney. 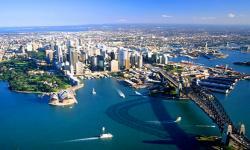 New South Wales three major cities are Sydney, Newcastle and Wollongong which all lie along the coast. Popular New South Wales destinations are Sydney, Byron Bay, Hunter Valley, Lord Howe Island, Central Coast, Snowy Mountains, The Murray, North Coast. New South Wales is an absolute holiday makers dream. From the world-famous Sydney Harbour, the natural beauty of the Blue Mountains, the vineyards of the Hunter Valley, the snowy alpine highlands, the numerous string of beaches and coastal inlets to the open Australian outback. The coastal region south of Sydney has some of the most beautiful ocean frontages in Australia. South Australia is uniquely positioned so that it borders every other mainland Australian State. South Australia is the driest out of the Australian states, with huge semi-desert areas in the outback, but it is also the most urbanised. 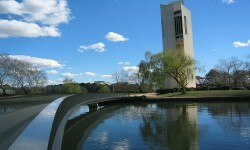 Adelaide, the capital, is known as 'the city of churches'. South Australia is well-known for it's wineries. The main wine growing region is in the Barossa Valley, other wine valleys include Clare, Coonawarra and McLaren. Most visitors are surprised at the beauty and diversity of this magnificent South Australian State with its Mediterranean style climate and cosmopolitan capital city. The Murray River runs through the Australian Alps and joins the sea at Lake Alexandrina. Due to lack of sufficient rainfall in South Australia, the Murray River water is often piped long distances to a number of outlying communities. In total, 90% of South Australia's population depend on the Murray River waterfor general living. Places of interest in South Australia: Adelaide, Barossa Valley, Clare Valley, Coober Pedy, Coonawarra, Coorong National Park, Eyre Peninsula, Fleurieu Peninsula, Flinders Ranges, Glenelg, Kangaroo Island, Kingscote, Mclaren Vale, Mt Gambier, Murray River, Port Adelaide, Port Augusta, Port Lincoln, Victor Harbor, Yorke Peninsula. Tasmania is both an Australian island and state of the same name. It is located 240 kilometres south of the eastern side of the Australian continent, being separated from it by Bass Strait. 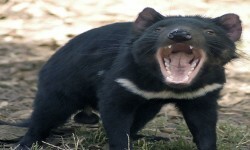 The state of Tasmania includes the island of Tasmania, and other surrounding islands. The state capital and largest city is Hobart, which encompasses the City of Hobart, City of Glenorchy and City of Clarence. Other major population centres include Launceston in the north, and Devonport and Burnie in the northwest. The subantarctic Macquarie Island is also under the administration of Tasmania. The regions of Tasmania include: Huon Valley, Tasmania Central Highlands, Derwent Valley, East Coast Tasmania, Freycinet Peninsula, Tasmania Midlands, North-West Coast Tasmania, South West Wilderness, Tamar Valley, Tasman Peninsula, West Coast of Tasmania. Western Australia - the Golden State, Australia. Western Australia is Australia's largest state in area. 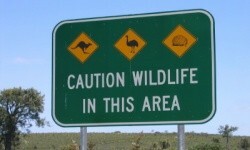 Western Australia (WA) makes up 10% of Australia's total population. 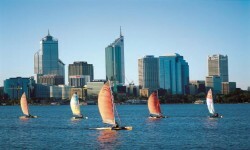 The capital of Western Australia is Perth. Perth is set on the Swan River. The central four-fifths of Western Australia is semi-arid or desert. An exception to this is the northern tropical regions of Western Australia. The Kimberley has an extremely hot monsoonal climate. 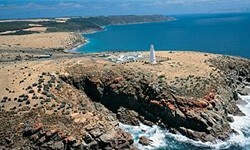 Western Australia's major industries include: diamonds, iron, alumina, natural gas, nickel, gold, wool, meat. Western Australia's sport include: West Coast Eagles and The Fremantle Dockers (AFL), Western Warriors (Cricket), Perth Wildcats (Basketball), Perth Glory (Soccer), Western Force (Rugby Union), West Coast Fever (Netball). Regions of interest in Western Australia include: Perth, Bunbury, Geraldton, Albany, Kalgoorlie, Port Headland, Wyndham, Carnavon, Coral Bay, Fremantle, Rottnest Island, Joodalup, Mandurah, Armadale, Rockingham. The Northern Territory (NT) is where you can explore the real Australian Outback. This diverse and largely uninhabited state is home to the iconic Ayers Rock/Uluru and Kakadu National Park. Discover the rich culture, meet the locals, enjoy beautiful national parks and spot the native animals and plants in their natural environment. 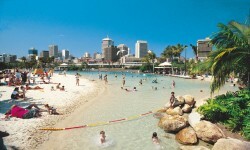 The capital city of the Northern Territory is Darwin, which was originally developed as Australia's northernmost port. 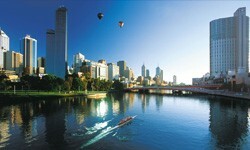 It enjoys warm weather year round and is a cosmopolitan city with a population of approximately 100,000 people. Darwin is home to a variety of nationalities and in turn has colourful festivals, markets and events year round. Uluru/Ayers Rock is an Australian icon in the heart of Australia, and a must see for visitors, an area which holds strong spiritual significance to the Aboriginal people. Alice Springs is another popular place to visit in the 'Red Centre', an outback town with interesting locals and surrounded by spectacular landscapes. Kakadu National Park, Litchfield National Park and Arnhem Land are filled with natural attractions, wetlands and bushwalks, perfect for nature lovers to enjoy, located near the top of the Northern Territory. Beautiful Mataranka features crystal clear hot springs, a spot not to be missed. A variety of activities and attractions are waiting to be discovered and experienced in NT, whether trekking, learning about Aboriginal culture, discovering Aboriginal rock art, fishing for barramundi or spotting a crocodile, it is hard not enjoy the laidback Australian Outback lifestyle.